What if Uber was a subscription business? Uber has grown to become a behemoth of a business, with a supposed valuation of over $60 billion and a presence in over 300 cities worldwide, more than 80 of which are apparently profitable. But what if all of that revenue was truly recurring? Uber has seen a staggering rate of growth since 2009, transforming its brand into something of a household name across many countries, as well as a figurehead for much of the “on-demand generation” we’re used to talking about in the tech world. They may not have been the absolute first to usher in this new model of consumer service, but they certainly feel like the most prominent. And today’s possibilities when it comes to on-demand products are nearly endless. Need some laundry washed? Use Washio. Need something delivered? Use Postmates. Want to send some flowers? Use BloomThat. Need a haircut? Use Shortcut. Need to move house? Use Lugg. The list goes on! Uber for X is the term thrown around in product pitches everywhere. But what if things were different? It’s sometimes good to dream a little, and explore what things might look like if a consumer business like Uber decided to offer its service through a subscription model. What would a subscription model mean for Uber customers? Pay a fixed monthly fee for a specific amount of ‘Uber miles’, which you can spend on trips. Pay a fixed monthly fee for access to Uber, and pay a certain rate on top per trip. Pay a fixed monthly fee for unlimited usage of the Uber service. Pay a fixed monthly fee for some additional features in the Uber platform (e.g. business-focused features) and still pay per trip. So let’s say Uber decides to roll out option 1. What would this mean for you, the customer? Greater simplicity in pricing is the first thing that comes to mind. As an Uber customer, if I use the service in a predictable way, i.e. I know roughly how many miles I’ll travel each month with the service, I can purchase a corresponding subscription with confidence, and more transparency into how much I’m actually spending (especially compared to the non-transparent per-transaction model which currently exists, surge pricing, etc). This also makes it easier to compare the cost of Uber with the cost of owning a vehicle, or other alternatives. There’s also greater lock-in. Right now, if I’m trying to get a ride and I can see that there won’t be an Uber driver arriving for at least 10 minutes, maybe I’ll just hail a Lyft car instead. Or maybe I’ll even use public transport! If you have your pre-paid, pre-committed subscription to Uber, you’re going to wait that 10 minutes so that you can spend the miles you’ve already paid for. It’s also likely that I’ll have higher expectations and demands. 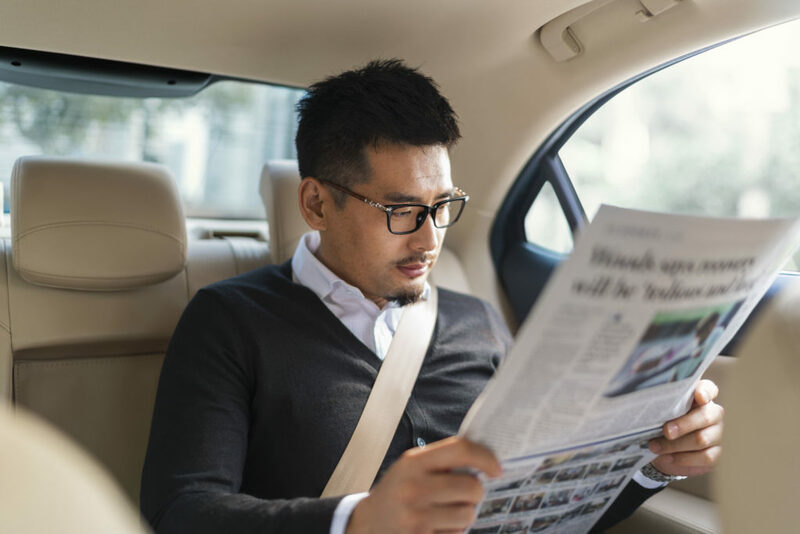 If I’m a paying subscriber, I’m expecting Uber to keep me happy – I’ve paid for a service upfront and expect them to deliver on their promise. Perhaps if I’m not happy or have a bad experience, I’m more likely to contact their support. What would a subscription model mean for Uber? Less flexibility in pricing. Right now, one of Uber’s strongest capabilities is being able to constantly tweak and optimize pricing to match the demand and other external variables at the time. Surge pricing means that Uber makes the most of a peak in demand, often seen at busy periods around special events, concerts etc. With a flat subscription, they’d lose this level of control (unless they still added a ‘surge fee’ on top, or something similar). They would also have to offer a plan that suited each target demographic. Uber caters to a huge range of different customers and use cases, meaning that a single pricing plan certainly wouldn’t please everyone. There’s almost certainly a massive amount of research required to do this. Customer Lifetime Value (LTV) means they can have a better view of how much a customer spends with them over their lifetime, which in turn allows them to more confidently spend money on acquiring new customers. Churn Rate means that they can focus on customer success, minimizing the number of users who cancel or unsubscribe from the service. > Side note: According to those familiar with Uber’s latest fundraising round in December 2015, the company supposedly touted an Annual Run Rate (ARR) of over $10 billion, globally. Usually companies that announce such metrics select a particularly successful month in recent history, and multiply by 12 to get the annual figure (so it’s hardly ever a realistic value). Even so, imagine if Uber could convert that into truly recurring, subscription revenue. That’s over 800 million MRR! More difficult customer acquisition. Right now, Uber has to get prospective customers to simply create an account, add a credit card and take a single ride. With an up-front subscription cost, there’s much more perceived risk on the customer’s side. This can be tackled with a money-back guarantee or free trial, but only to a certain extent. So why haven’t they introduced a subscription? Uber knows that customers generally come back when they need the service, after the first time. There’s not much in terms of direct competition, as long as Uber keeps delivering a great product at a great value. For this reason, they don’t really need to lock in customers upfront. Uber has been 100% focused on rapid growth and market expansion since its launch. They’re not currently optimizing for revenue – to them, it’s a land-grab game (even though they state that they’re profitable in many cities). It’s also quite likely that users see greater value in the product when evaluated on a per-ride basis. How many times do you find yourself comparing the cost of your latest trip with the seemingly over-priced equivalent taxi journey? A subscription model wouldn’t allow for this. How do you pay the driver in this case? A subscription model adds some complexity here. What does this say about the subscription economy? For more ‘transactional’ on-demand businesses, it may not make as much sense to offer subscriptions. It increases the barrier to acquisition and forces customers to commit upfront. Uber doesn’t want people to even think twice about calling a ride with them, and as long as they can keep driving great value, customers will keep coming back. This differs a lot from more traditional ‘subscription’ products which are really based around the ongoing value of a service (instead of pure transaction-value). If you look at the problem from the other side, it’s quite clear that these two models are often incompatible. For example, ChartMogul customers pay a subscription (either yearly or monthly) to use our SaaS Analytics platform and understand their revenue. It would make zero sense whatsoever to offer some form of transactional billing for this — it flat-out wouldn’t work. Would we charge them every time they wanted to log in to their account? Sure, there are also some overlaps in the use cases for these models. As an example: Laundry services. I can think of on-demand transactional ‘Uber for laundry’ startups, as well as subscription-based laundry services. Transactional value = On-demand, per-transaction pricing. Ongoing value = Subscription-based, recurring pricing. Is there room for a hybrid model? In the case of Uber, there clearly exists a tier of ‘power’ users who use the service to an extent where it would make sense to offer a subscription tier. 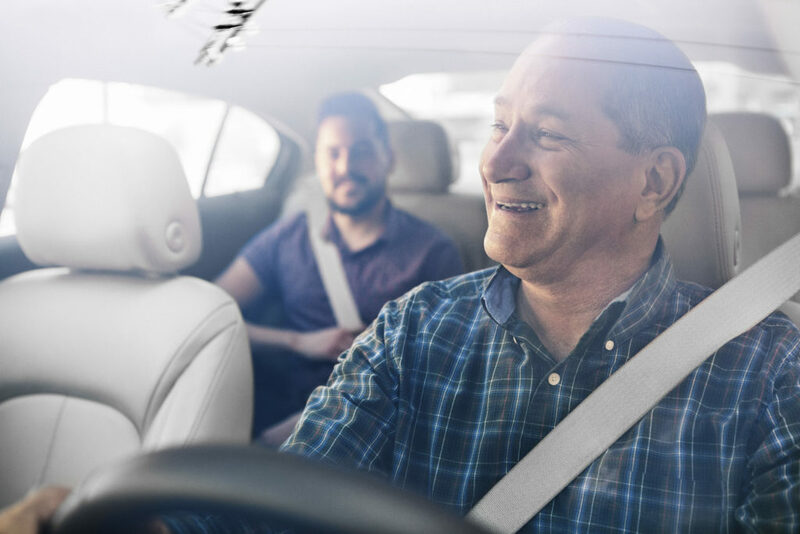 In this case, regular customers who spend hours per week in the back of an Uber — particularly those who spend a predictable amount of time — could save money and gain additional benefits by committing to a certain amount of mileage or hours upfront.